style is style: I Fell For Your Inferno. Up until about a week ago, tights and a coat would have been appropriate attire here in Vancouver. Luckily, we've now hit a heatwave.I hope Mr. Sun never goes away. If you follow @style_is_style on Instagram, you can keep up with all the shenanigans as they happen! There is only one more day to enter to win a gorgeous OSISI Africa scarf. I will draw the winner at noon tomorrow, so click here to enter! 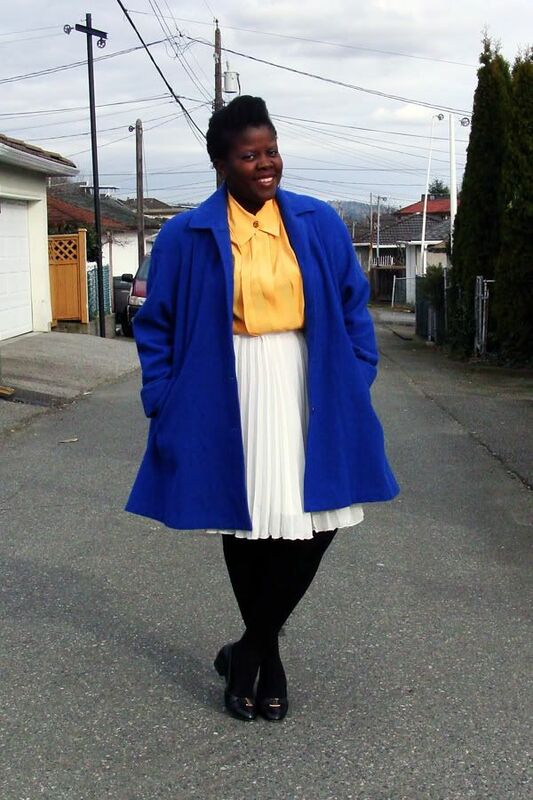 Thrifted coat, blouse, skirt, shoes. I love the colours in your outfit. They make the grey Vancouver sky less daunting. Super cute and polished. Love the pops of color! 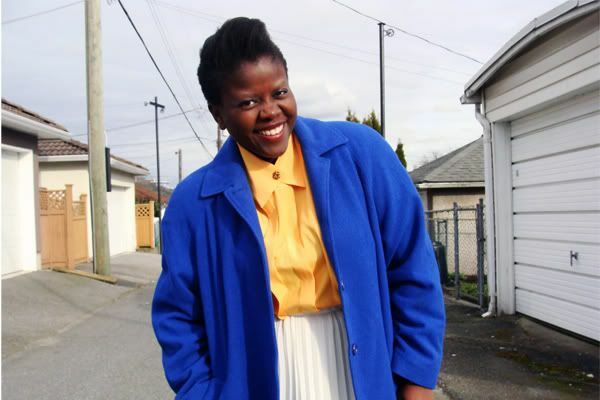 Lydia, I love the skirt! :) So happy the sun has finally graced us!! This is so perfect, you are always so perfect ! These colors are perfect on you! 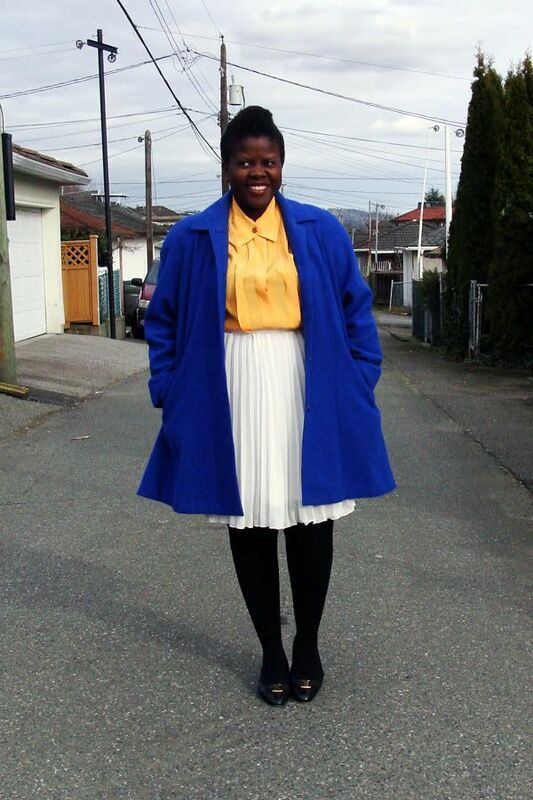 Yellow and blue would probably have to be my favourite colour combination, this outfit looks really lovely.